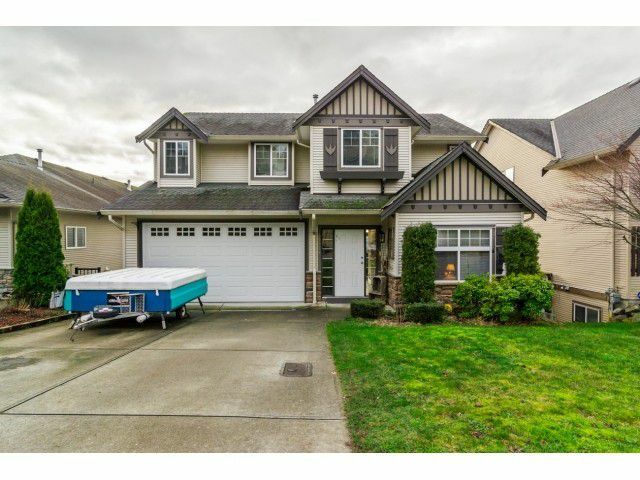 Absolutely stunning home in a great East Abbotsford neighbourhood. This gorgeous family home features an open concept plan on the main floor. The spacious living room includes a cozy gas fireplace with rock surround. Bright and sunny kitchen features stainless steel appliances and access to the HUGE South facing sundeck. Upstairs includes 3 spacious bedrooms, reading nook, full washroom, and a large master bedroom with private ensuite & oversized walk-in closet. Sunny above ground basement features a family-sized rec room, full washroom, and 5th bedroom. Plenty of storage space in the 20x20 bunker - or could make a great workshop! Fully fenced flat backyard with beautiful city/valley views. Cul-de-sac location. Hurry call today!